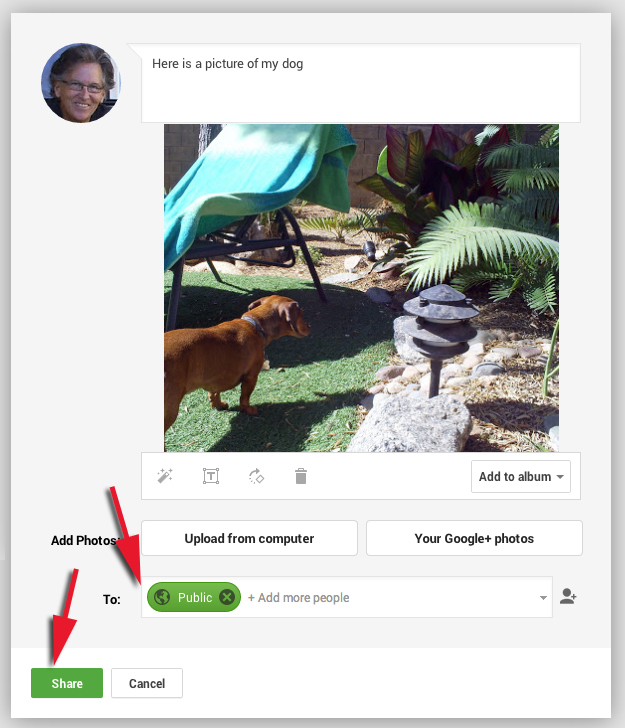 To add a photo to a Google+ post, click the Photos icon, which is right under where you type. Then go to Upload from computer. 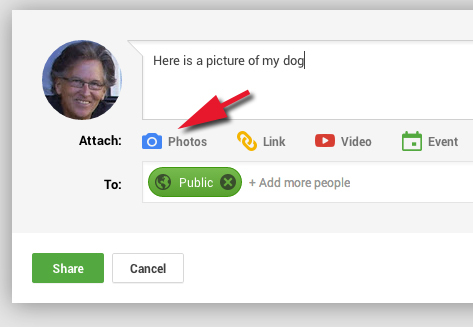 By the way, this box doesn't appear until you click the Photos icon. And just between you and me, you can ignore the Drag photos here. Or you can use it if you like, I don't. Then, find the photo on your computer that you would like to share. If this is the first time you've uploaded a photo, you will need to select who to share it with. That's the To box. Personally, I share everything to Public. I want everyone to see the picture of my dog! Then you click Share. 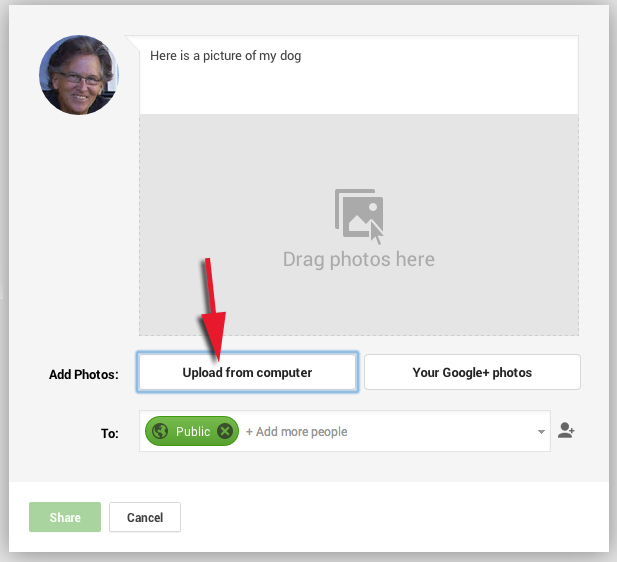 Keep in mind that Google+ isn't Facebook, so you can't post pictures on other people's pages, nor can you post pictures in the comments. Now let's see some of those cool pictures!